Every so often a house is built that makes you re-imagine what your dream home would look like. Whether it?s the location, unique features or just impeccable design, some homes are made to redefine the standard of luxury. Featured on the cover of the winter 2015 edition of Connecticut Builder Magazine as the 2014 HOBI Custom Home of the Year is an elegant 18 thousand square foot masterpiece located on a four acre cliff overlooking Long Island Sound. This beautiful home was built by Sound Beach Partners who has completed more than 25 extravagant homes since 2001. Many of their projects focus on building a ?new old house?, combining timeless designs with the latest in innovation, building techniques and technology. Sound Beach Partners? services can be as limited or comprehensive as needed when it comes to getting clients into their dream home, but it is clear that they were heavily involved with this project. Whether it?s the vanishing edge pool, indoor rock-climbing wall and bowling alley, or floating back staircase with glass rails, Sound Beach Partners really boosted their design portfolio with some incredibly unique features. 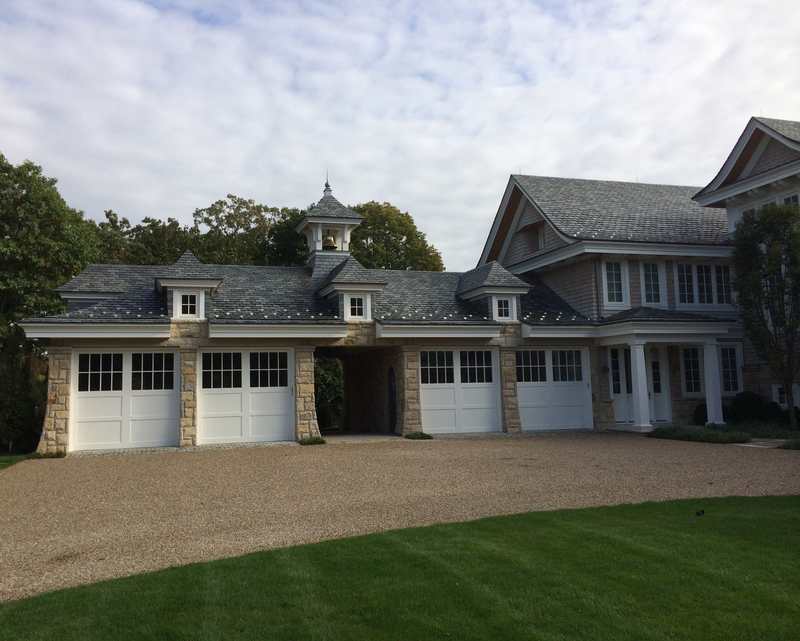 The garage doors on this property were supplied and installed by family-owned and operated Ed?s Garage Doors. 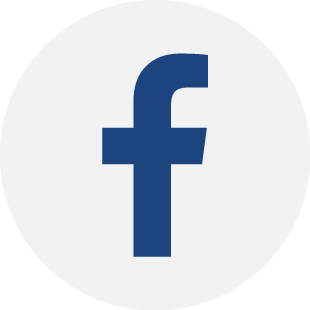 With an A+ from the Better Business Bureau, Ed?s Garage Doors has worked for 40 years with several very reputable home builders like Sound Beach Partners and are recognized for their contributions to numerous Connecticut Builder HOBI Award Winning projects. They consider the value of a garage door to extend past more than just functionality and view it as an important design element of a home. At Northwest Door we add value to homes by building garage doors that satisfy everyone?s needs from the minimally involved property flipper to the most detail-oriented architect. Although we could have achieved virtually the same look with aluminum doors, the architect on this job preferred wood so he chose to use five of our customized Heritage Classic insulated natural wood doors. 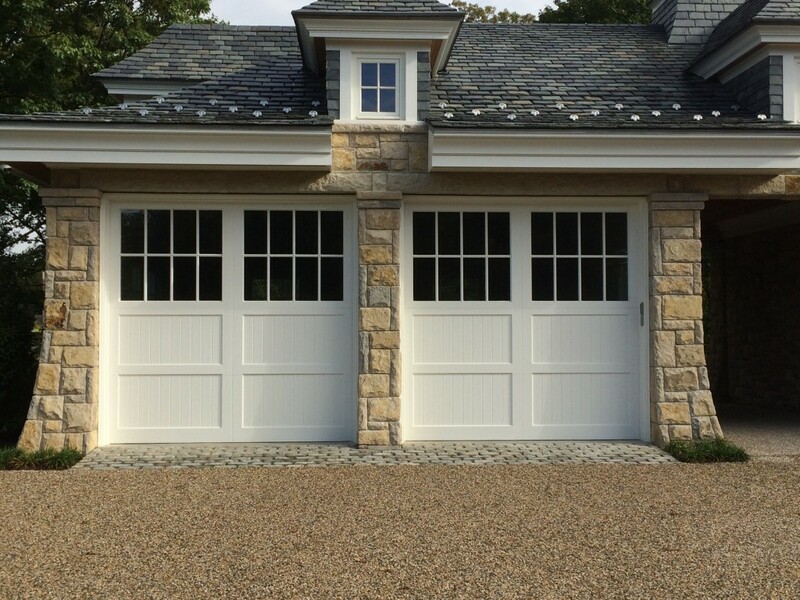 The Heritage Classic is a carriage style garage door consisting of a flush insulated wood door with natural wood overlays. These specific doors were customized with extra tall window top sections to compliment the aesthetics of the house.